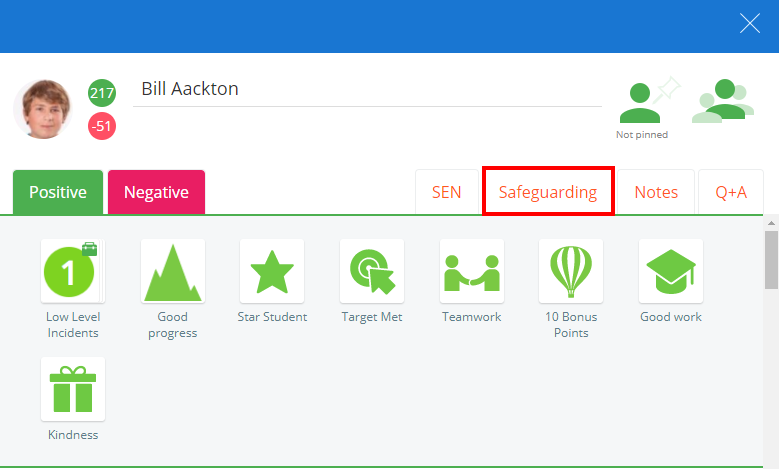 If your school has been integrated with Safeguard My School, staff will be able to report safeguarding issues within Class Charts. 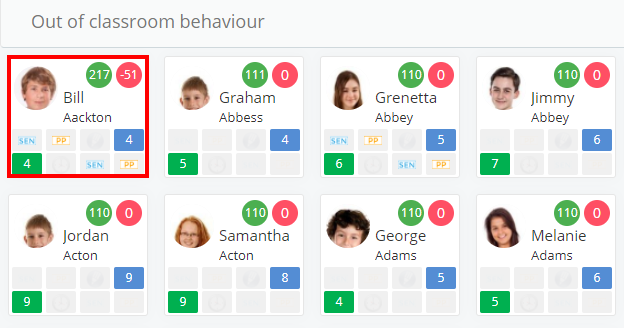 To report a safeguarding issue, select the relevant child by clicking on their pupil card. This will open up the pupil side menu. To access the reporting section, click on the Safeguarding tab. The form shown below will appear. Enter the details of the safeguarding issue into the relevant fields of the form. Once the form is complete, click on the Submit form button to log the safeguarding issue. 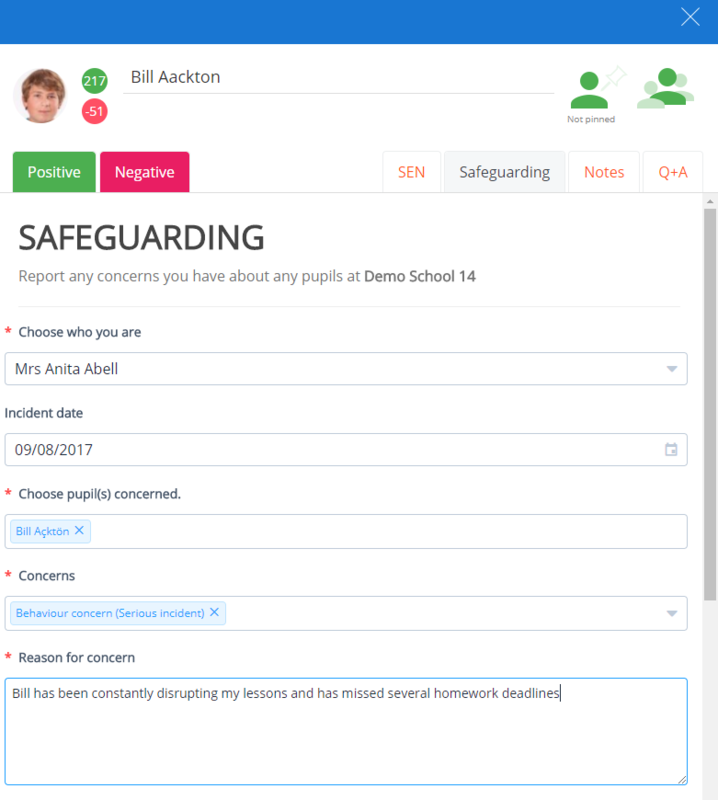 A confirmation message will appear if your school has set one up and the Safeguarding Lead will be notified of this report via email.